Burkhardt and Dawson CPA's is a local firm located in Cherokee since 1967. The professional staff of Burkhardt and Dawson, CPA's consists of 2 partners and 7 accountants, including 4 Certified Public Accountants. Burkhardt & Dawson CPA's is built on a proud tradition of service, technical expertise, innovative thinking, and a strong commitment to technology. Our staff's experience and academic credentials give our clients the depth of knowledge they want from their CPA firm, while our dedication to superior customer service offers the personal, one-on-one approach smaller firms are known for. While others many have long, complicated mission statements, at Burkhardt & Dawson, CPAs, we believe our mission is clear: We provide the highest quality long term professional services to our individual clients. The responsive, personal attention we provide for each client, regardless how large or small, is key to our approach. Each member of our highly trained and experience staff works face-to-face with clients. This approach is centered on meeting your needs and helping you plan for your future success. Our mission is to help our clients accomplish their goals by providing the highest quality accounting, tax and financial services. We understand that responsiveness and personal attention to every client are critical to our shared success. We continually strive to provide exceptional, industry specific service while promoting a work environment that is rewarding professionally and personally for all our employees. Community - Volunteer and support the communities in which we live, work and play - "Never forget to give back"
Donna Burkhardt, CPA has been with Burkhardt & Dawson, CPA's since 1982 and became a partner on July 1, 1995. Donna grew up on a farm and has lived in Cherokee County most of her life. She enjoys hiking & exploring National parks with her family She is married to Blaine, owner of Blaine's Culligan of Cherokee. Donna specializes in tax planning and income tax preparation for individuals, corporations, partnerships, trusts & estates, financial statement audits and long-term relationships to assist our clients in setting and achieving their goals. Donna is currently a volunteer on the Board of Directors for the Cherokee Regional Medical Center serving for over 17 years. She was an active member of the Cherokee Rodeo Board for eight years, a current member of the Cherokee Chapter FV of TTT and a former member of the Cherokee Career Women. 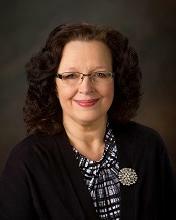 She was a member of the Board of Directors and Audit Committee of North Star Community Credit Union for six years and a former member of the Western Iowa Tech Community College Curriculum and Conference Center Advisory Board. Donna Burkhardt, CPA was treasurer for six years for the Benny Binion's Bucking Horse and Bull Sale which is held annually in December in Las Vegas. Donna's professional memberships include the American Institute of Certified Public Accountants & the Iowa Society of Certified Public Accountants. 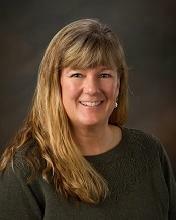 Laura Dawson has been with Burkhardt & Dawson, CPA's since 1991. 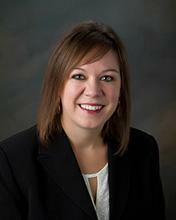 She has nine additional years of accounting and auditing experience prior to coming to Burkhardt & Dawson, CPA's. Laura became a partner July 1, 1996. Laura is an active member in Cherokee, serving on the local school board. She is a member of Cherokee Rotary, serving as Secretary/Treasurer. She is an Elder of the Memorial Presbyterian Church. She is past president of the Cherokee Chapter of American Association of University Women, past treasurer of the local Council Against Domestic Abuse, past president of Rotary Club, past president of Cherokee Chapter FV of TTT, past president of the Chamber of Commerce for the City of Cherokee, and past president of the local Women's Golf Association. 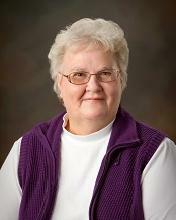 She has served on the library board and various church boards. Laura's professional memberships include the American Institute of Certified Public Accountants and the Iowa Society of Certified Public Accountants. Laura is a past president of the Lakes Chapter of CPA's. 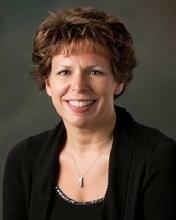 Laura is a 1982 graduate of the University of Northern Iowa with a Bachelor of Arts degree in Accounting. 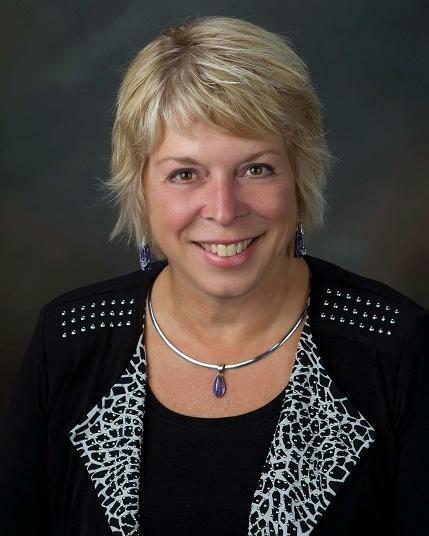 Janel has been a professional accounting staff member at Burkhardt & Dawson CPAs since 1993. She graduated from University of South Dakota with an accounting degree. Janel is specializing in corporation, partnership and trust income tax returns, payroll taxes, accounting and financial statement services. She offers professional support for QuickBooks accounting software. Chris has been a professional accounting staff member at Burkhardt & Dawson, CPA's since 2006. She graduated from Buena Vista University with a Bachelor of Arts degree in Accounting. Chris is specializing in auditing, individual, partnership and corporation income tax returns, payroll taxes, accounting and financial statement services. Chris has a strong background in agriculture and focuses on serving our agricultural clients. She also offers support and training for Peachtree accounting software. 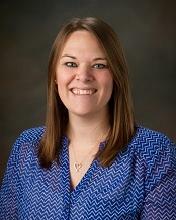 Morgan has been a professional accounting staff member at Burkhardt & Dawson, CPA's since 2012. She graduated from UNI in 2012 with a Bachelor of Arts degree in Accounting. She is a member of the Iowa Society of Certified Public Accountants and the American Institute of Certified Public Accountants. Morgan is currently a volunteer member of the North Star Community Credit Union Board of Directors. Morgan is specializing in financial statement auditing, individual & corporation income tax returns, payroll and payroll taxes, and accounting and financial statement services. She offers support and training for Peachtree and QuickBooks accounting software. She is also a certified ProAdvisor for QuickBooks online. Brandon has been a professional accounting staff member with Burkhardt & Dawson CPA's since 2014. 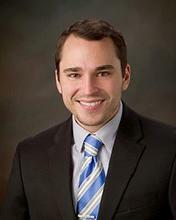 He graduated from the University of Northern Iowa in 2013 with a Master's degree in Accounting. He is a member of the Iowa Society of Certified Public Accountants and the American Institute of Certified Public Accountants. Brandon is specializing in auditing, corporate and individual income tax returns, payroll taxes, accounting and financial statement services. Brandon has a strong background in agriculture and focuses on serving our agricultural clients. He also offers support and training for Peachtree software. ReNae has been a professional accounting staff member at Burkhardt & Dawson, CPA's since 2016. She graduated from AIB College of Business with a degree in Business Management. 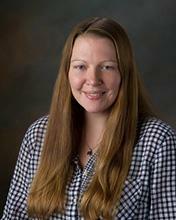 ReNae is specializing in payroll & sales taxes, individual income tax returns, and accounting services. She also offers support & training for Quickbooks & Quickbooks online. Jamie has been a professional accounting staff member at Burkhardt & Dawson, CPA's since 2016. She graduated from Buena Vista University with a Bachelor of Arts degree in Accounting. Jamie is specializing in payroll, payroll & sales taxes, partnership and corporation income tax returns, accounting and financial statement services. Professional office manager for over 45 years. 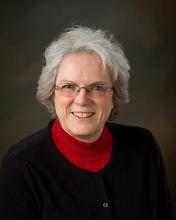 Betty is the friendly voice and initial contact for many of our clients. She has helped to build excellent client relationships and monitors critical deadlines to assist in timely filing of tax documents. Started at Burkhardt & Dawson, CPA's in 2007. Donise is an administrative assistant and receptionist. Donise is one of the friendly voices when you call our office. Donise and her husband, Bryon, are also active farmers near Larrabee, Iowa. Liz joined the professional accounting staff at Burkhardt & Dawson, CPAs in 2019. She graduated from Iowa State with a Bachelor degree in Accounting. She previously worked for the State Auditor's office and performed financial statement audits across the State of Iowa. Liz is specializing in financial statement auditing, individual income tax returns, and accounting and financial statement services.